It all started when Michaela moved back to Nashville after living in Norway for several years. She had experienced so much beauty through nature in Norway that she decided to get out and find all the places near Nashville that brought that same sense of wonder. It didn't take long before she discovered an entire collection of beautiful waterfalls nestled deep in the Tennessee woods that began to awaken that same sense of adventure + wonder that she had come to know and love in Norway. That's where the idea of Promise Mountain Nashville was birthed. Bringing the same quality of service and the same level of adventure together to create the most incredible elopement + anniversary packages out there... only this time, in America. Now offering elopement + anniversary adventures in the Nashville, TN region. Each collection features private ceremonies and photo sessions at some of the areas most beautiful waterfall + nature locations. Designed to accommodate eloping couples as well as couples looking for a unique way to celebrate their anniversary. Run away into the forests and get married in front of the majestic waterfalls of Tennessee. 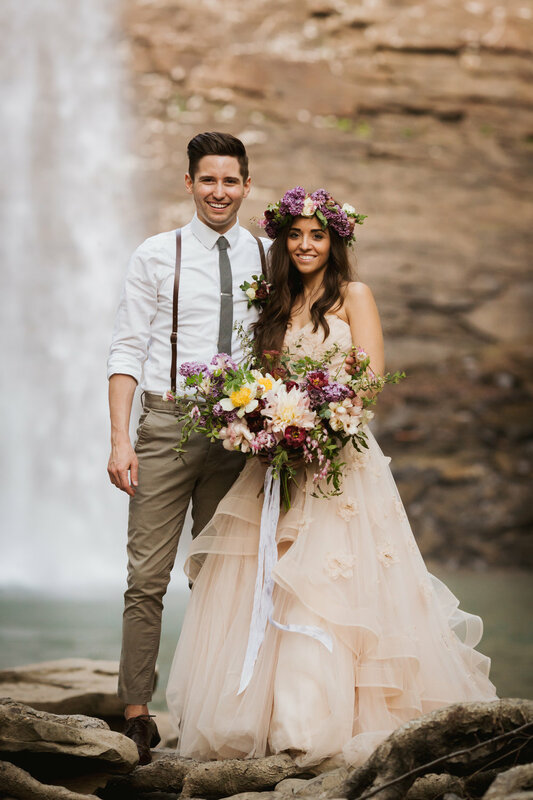 This wedding escape is for wild adventurers looking to exchange vows surrounded by nature with the sounds of rushing water pulsing between each line of promise. Following the ceremony, pop a bottle of champagne and take in your very first moments as a married couple. We’ll capture some magazine-worthy photos of you and then send you on your way to enjoy the rest of your adventure back in Nashville where you will stay in a top-notch hotel and enjoy dinner on us at “Husk”, one of Nashville’s top, award-winning restaurants. For this adventure you’ll enjoy your very own penthouse suite at the top of Fairlane Hotel, one of Nashville’s newest and top-rated hotels. The gorgeous ceremony setup, custom designed by our floral & design team, will be held on the large, open balcony attached to your private penthouse suite. With sweeping views of downtown Nashville and the stylish mid-century, 70’s inspired hotel design, this package is for those looking for an urban wedding elopement adventure like nothing else. Immediately following the ceremony, pop a bottle of champagne and cut into your wedding cake while taking in the wonder of the moment. 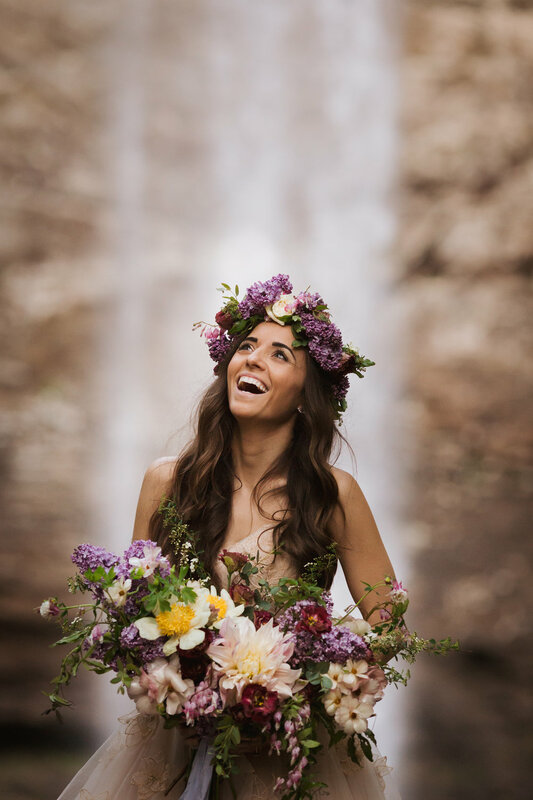 After this, your Promise Mountain photographer will guide you through downtown Nashville for some the best wedding photo-ops the city has to offer. Along the way, enjoy some of Nashville’s best specialty coffee, craft beer or hand-made cocktails. Upon finishing your photo session, we’ll have your dinner reservations ready to go a few floors below your Penthouse Suite at “Ellington's", one of Nashvilles newest and most coveted culinary experiences.